Your performance horse is as hard-working as any competitive athlete -- he’s just on four legs instead of two. Those four legs are carrying an awful lot of weight, and disguising an intricate web of tendons, ligaments and joints. Physical stresses can cause inflammation and soreness. 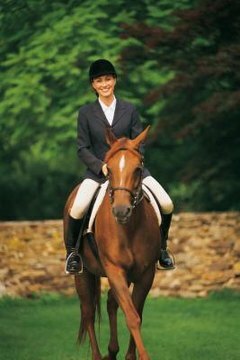 How you care for your horse’s legs after his performance depends on his fitness, age and exertion. Applying cold water to your horse’s legs -- called hydrotherapy -- is good post-performance therapy. Water is an accessible and inexpensive method of eliminating excess heat, minimizing soft-tissue swelling, and relieving soreness and discomfort. Just spraying each leg with a hose for five to 10 minutes is adequate. However, if you are at a show and unable to use the hose for that long or at all, put some water in a tall bucket and ask your horse to stand in it. If the water becomes warm after soaking each leg, replace it. Hydrotherapy manufacturers have a host of water boots to make water treatment easy and effective, and some are portable enough to take to shows. You can make a larger investment at home with a mini-spa in which your horse can stand. Ice is the preferred method of caring for your horse’s legs, but you’ll have to transport ice or ice packs in a cooler or freezer when you compete away from home. It’s also challenging to keep on his legs; wrapping ice packs is not very stable if your horse moves around, and dipping wraps in ice water is counter-productive, as his body will warm up the wraps in no time. There are boots and wraps with pockets for malleable ice packs that conform to your horse’s legs. Another option is to have your horse stand in buckets of ice water. If your horse has competed particularly hard, such as in a cross-country course, continue icing for as long as 3 to 4 hours, changing packs and buckets to ensure coldness; otherwise, about 30 to 40 minutes per leg is sufficient. Poultices are a cooling-down alternative, while liniments can have either a cooling or heating effect. For maximum effect from your poultice, wrap your horse’s legs in water-soaked brown paper, or butcher’s paper, after you’ve applied the poultice. If you poultice your horse’s legs, it’s okay to leave the poultice on overnight with your horse’s legs wrapped. Liniments with analgesic ingredients can give older horses, or horses with old injuries, some additional relief after a performance. Some liniments loosen overworked leg muscles. Read the bottle labels for exact uses and effects, and also for any ingredients that may be prohibited in your competitions. Some liniments work well under stable wraps and are suitable for putting your horse up for the night after a performance. For just water or ice cool-downs, make sure your horse’s legs are cool and dry before wrapping in stable bandages. If your horse is at a multi-day show with a lot of standing, such as being tied to a trailer or in a stall, his legs will get some relief from wrapping. How Long After Riding Can You Feed Your Horse? What Is the Smell That Horse Flies Hate?